A comprehensive evaluation of more than 40 residential energy efficiency programs across the country found that programs were more successful when they provided customers with lists of pre-approved contractors. Customers can become overwhelmed when there are too many choices, and they need information to determine which contractors are qualified to do their home energy upgrade. To help customers distinguish among contractors and select the best for their project, many programs provide customers with information on contractor skills, perfomance, and other criteria. Building on contractor participation requirements and field inspections of completed upgrades conducted for quality assurance purposes, most programs offer customers a list of contractors that meet their participation criteria. Many programs also collect customer feedback on contractor performance, which can enhance the information provided about each contractor. Some programs also use customer feedback to evaluate contractors, support disciplinary actions, allocate benefits, and identify retraining needs. Following are a few approaches that programs across the country have taken to help customers find qualified contractors. Homeowners who participate in Maryland’s Home Performance with ENERGY STAR program can rate and review their contractors on the program website. Contractors have their own information page with their services, accreditations, and homeowner reviews. This incentivizes contractors to not only perform well but also to reach out to satisfied customers and encourage them to provide reviews. Program participants can search for contractors and sort the results based on homeowner ratings and by geographical location. Results can even be narrowed to show which contractors participate in the local utility rebate program. 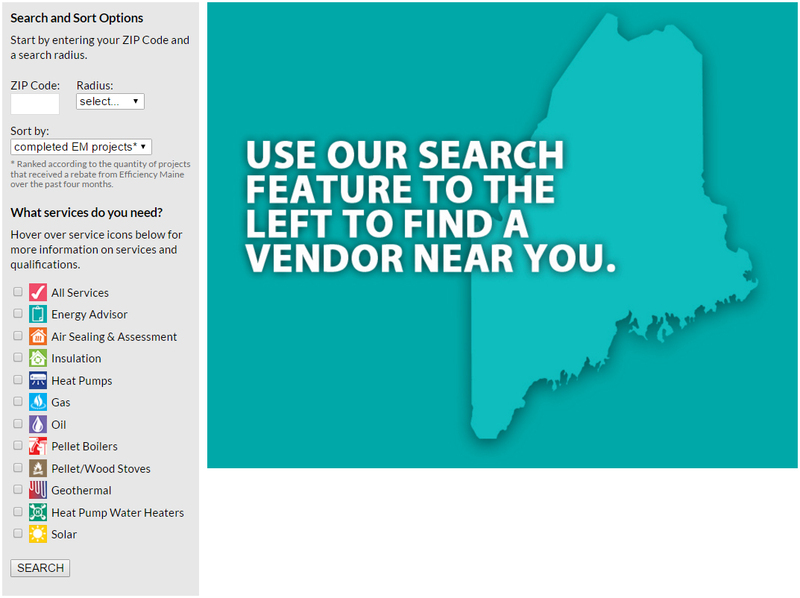 Efficiency Maine created a “Find a Residential Registered Vendor” Web page that lists the services each contractor offers and includes customer satisfaction information. It also sorts the list by distance from the homeowner and number of upgrades completed. To help homeowners evaluate and choose contractors, the website also includes questions to use when interviewing potential contractors. Selecting a contractor can be one of the top barriers for homeowners to pursue energy upgrades. To address this challenge, the Town of Bedford’s Energize New York program developed a rating system to differentiate contractors by performance. Using a combination of customer survey results, number of completed upgrades, and number of Building Performance Institute certifications their technicians hold, program staff scored participating contractors who completed a minimum of six projects over the past year. While some contractors were dissatisfied with their ratings, they could increase their scores over time, since the program reassessed contractors every quarter. Discover more lessons learned on helping customers select qualified contractors by visiting the Better Buildings Residential Program Solution Center Program Design & Customer Experience – Develop Resources handbook for step-by-step guidance and program examples.